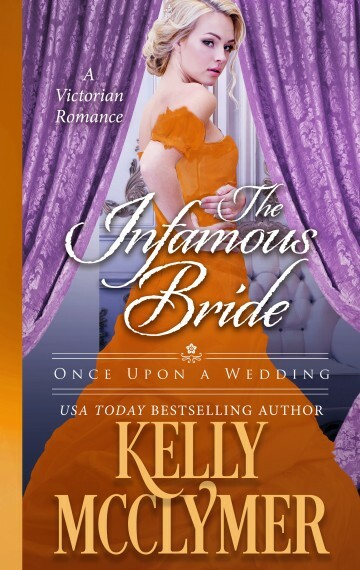 From USA Today Bestselling Author Kelly McClymer comes a dramatic romance full of tension and passion. Juliet Fenster yearns for someone to see beneath her flirtatious surface to the passionate and dedicated woman beneath. Her stylish hand-carved buttons may look like mere ornamentation, but they also serve a practical purpose for a local village artisan and his family. R.J. Hopkins wants nothing more than to find a plain, practical bride in his hometown of Boston. However, his father insists that he accompany the family to London, where they hope to marry off his sister to an English lord and better the family standing in Boston society. While attempting to help a friend untangle himself from the notoriously flirtatious web of Juliet Fenster, R.J. discovers that his heart and his head don’t always work together. Knowing he had another hour at this tedious dance before Annabel would allow him to escape, R.J. Hopkins leaned against a convenient wall and watched the spectacle before him. The musicians played so that their music filled every nook and cranny in the room. The wine and champagne flowed freely. The ladies’ eyes shone as they whirled about the dance floor. So much silk and satin, so many feathers. And the jewels that adorned the bared wrists and necks must have cost several small fortunes. All to show off a handful of eligible men to the girls — and their families, who wished to make a match. What a waste. “Considering that you yourself just willingly stepped into the maw of one of the young hopefuls, I respectfully decline to trust your judgment.” R.J. sipped at the champagne in his glass, marveling at the excellent vintage and wondering at the cost. “You would not have asked for her hand if you thought her wrong for you, Freddie. You are just suffering the natural jitters of a soon-to-be-caged man.” He knew his friend was ambivalent about his engagement. Privately, R.J. believed Elizabeth would make his friend a perfect wife. She seemed to know what Freddie thought before he spoke a word. The two were well suited — if Freddie would only forget the fascinating Miss Fenster, his latest obsession. R.J. had heard all he wished to about Juliet Fenster. Beautiful. Charming. Witty. Not one whit of Freddie’s endless prattle could adequately explain his desire for the girl to R.J.
“I suppose I am — ” Freddie broke off. R.J. felt the tension suddenly coiling in Freddie as his friend’s shoulders stiffened. R.J. looked for the source with idle curiosity. His stepmother and sister were bearing down upon them, a young woman in tow. Annabel seemed less than happy, but Susannah was glowing, obviously pleased with herself. He groaned inwardly. No doubt Susannah had found yet another sacrificial lamb to parade in front of him. He loved his younger sister, truly he did. Though she had the same desire to run his life as her mother did, Susannah’s heart was gentle and kind. She wanted only the best for him. She had told him often enough that her one wish was to see him happy. He wished, though, that she had not set herself out to introduce him to every unsuitable woman in London. Even at a distance he could see that the woman at Susannah’s side had none of the qualifications he was looking for. She carried her head regally, and her honey-colored hair was artfully curled with a certain flair that suggested she might be impetuous. Other men’s eyes followed her movements openly, which suggested she was a known flirt. The women watched her with envy, which suggested she was successful at capturing men’s hearts. R.J. sighed as he smiled at his sister. In this one thing, he wished Susannah had her mother’s discretion. The infamous Miss Fenster smiled at him charmingly. No wonder Freddie was so miserable. R.J. smiled and bowed politely, suspecting that he would be expected to scribble his name on the young lady’s dance card in order to appease his sister. “Not at all, Susannah.” R.J. saw, to his amusement, that Miss Fenster had not intended a dance with him. Her startled glance at Susannah was utterly guileless. Unlike the expectant glance she bestowed upon Freddie. No doubt she had been keeping a space on her full dance card just for him. She took his hand reluctantly, but her hesitation did not show as they walked swiftly to the dance floor and joined the dance. Indeed, the casual observer would think that she had become quite taken with the handsome Mr. Hopkins, considering how she smiled and batted her lovely lashes at him. He was surprised when she did not pretend to misunderstand him. “Lord Pendrake? Well, I would hope so.” Her smile was brittle, and he knew he had overstepped English propriety. But that was something he enjoyed in London; the one thing he enjoyed, perhaps. Americans were considered little better than barbarians and so could get away with the most outrageous pronouncements. Still, he decided to push her a bit more. Apparently she had not been quite bored enough with Freddie to welcome his change in affections. He was curious to see how far the infamous Miss Fenster was willing to go to change Freddie’s mind. “Me?” She looked at him fully for the first time since Susannah had introduced them. “Certainly not.” The intensity of her gaze contained a warning. Apparently she did not enjoy being trifled with. R.J. had sympathy for the first time ever for what his father must have gone through when his mother had so disastrously snared his affections. Miss Juliet Fenster’s attitude dripped condescension. The sound of her words, magnified by the husky overtones of her voice, rippled through him. A beautiful sound to match her beautiful hazel eyes. Though her hair was almost gold in the light of the ballroom, her lashes were darker, framing her eyes in a most attractive way. “Just before you were introduced to my sister?” He let his gaze make clear that he did not believe her. He wondered if she used artifice to darken her lashes, the effect was so striking, with her otherwise pale blondness. To his relief, the music ended, and he quickly guided her back to her sisters. The duchess had been watching them dance with such worry in her expression that he felt as if she’d shouted an accusation of kidnapping against him aloud. Apparently she knew her sister’s intentions toward Freddie. Given the duchess’s expression as he bowed, he doubted the flirt’s intentions were in the least honorable. He supposed it was his duty as a friend to protect Freddie from the troubles a determined young woman could cause.